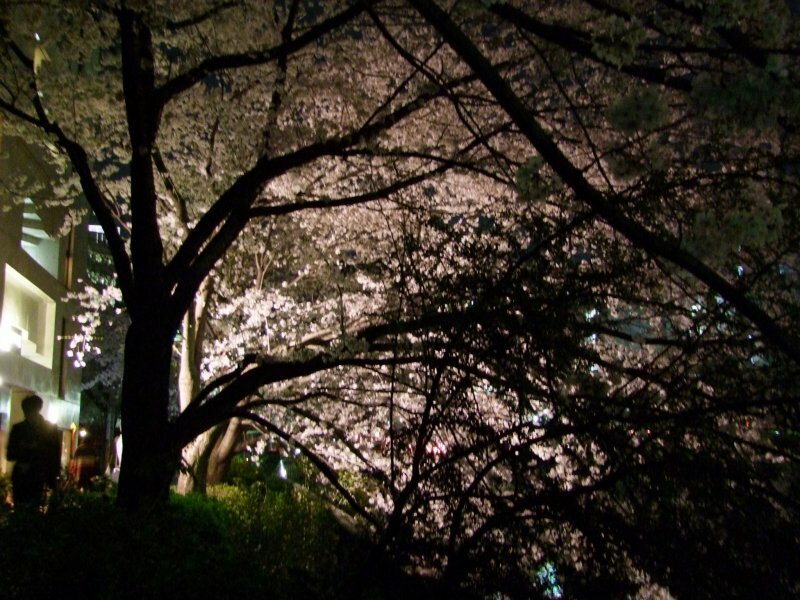 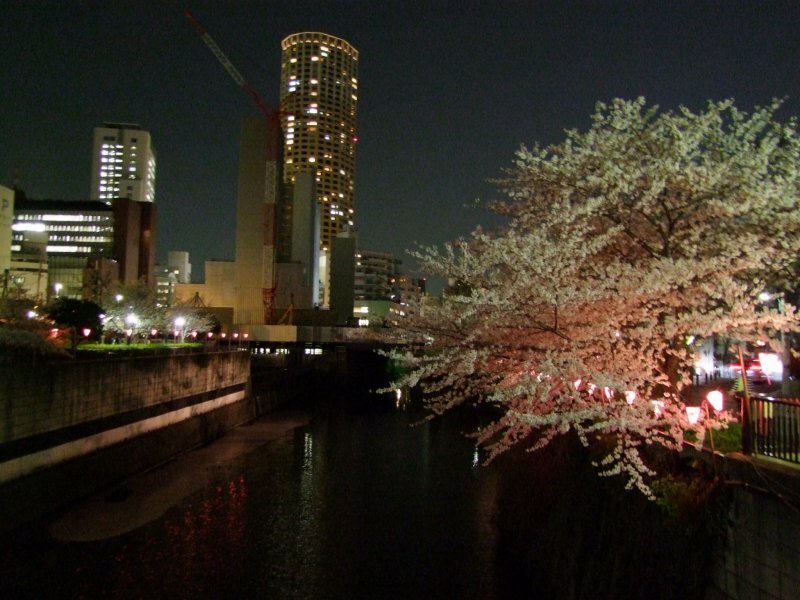 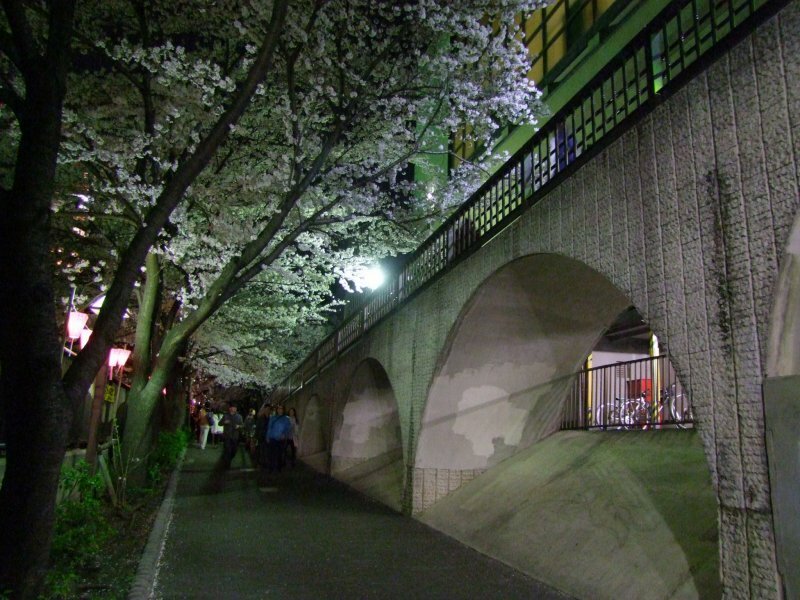 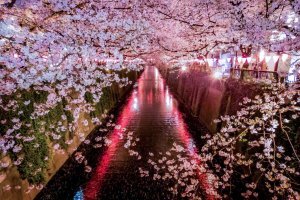 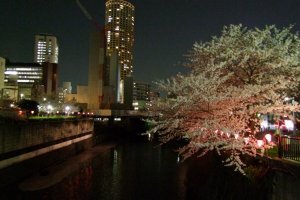 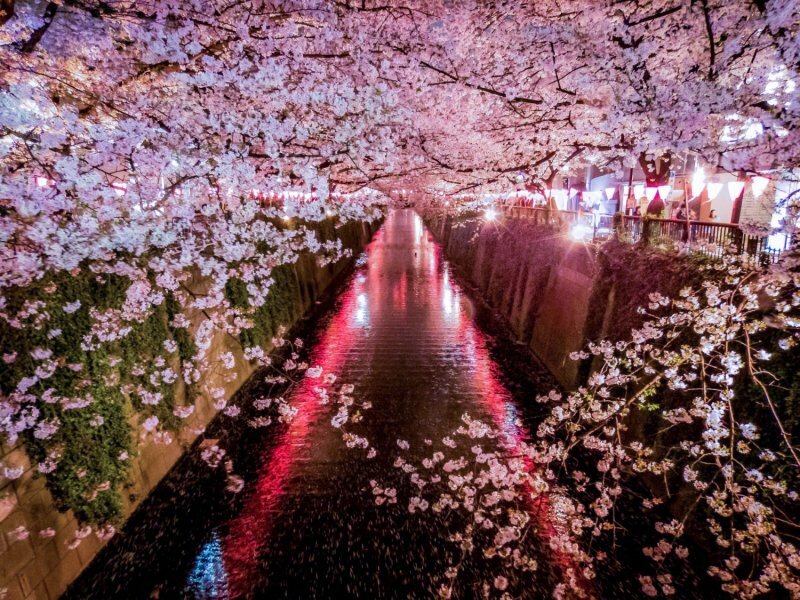 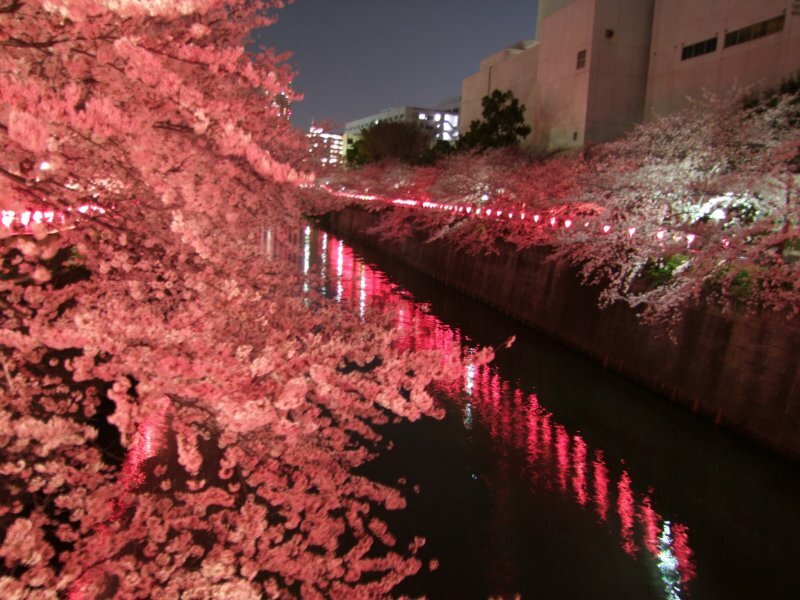 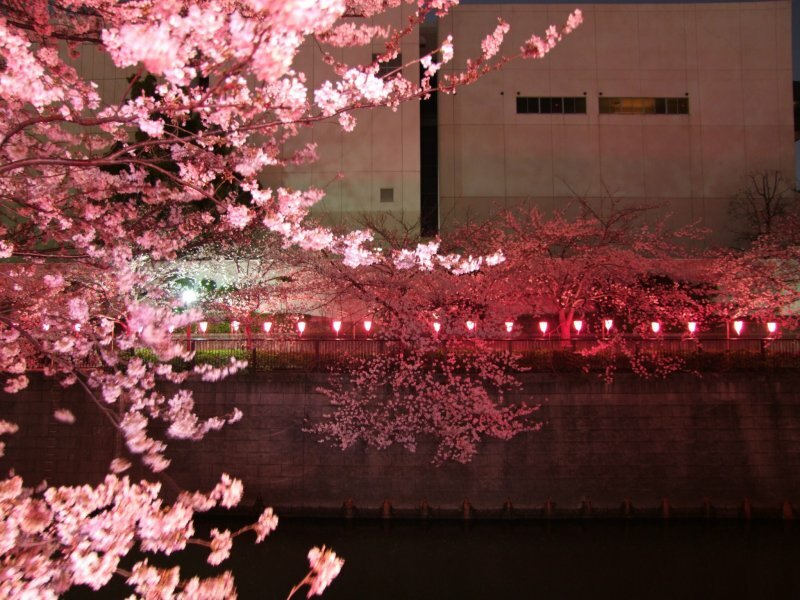 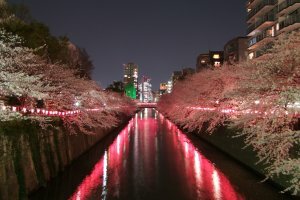 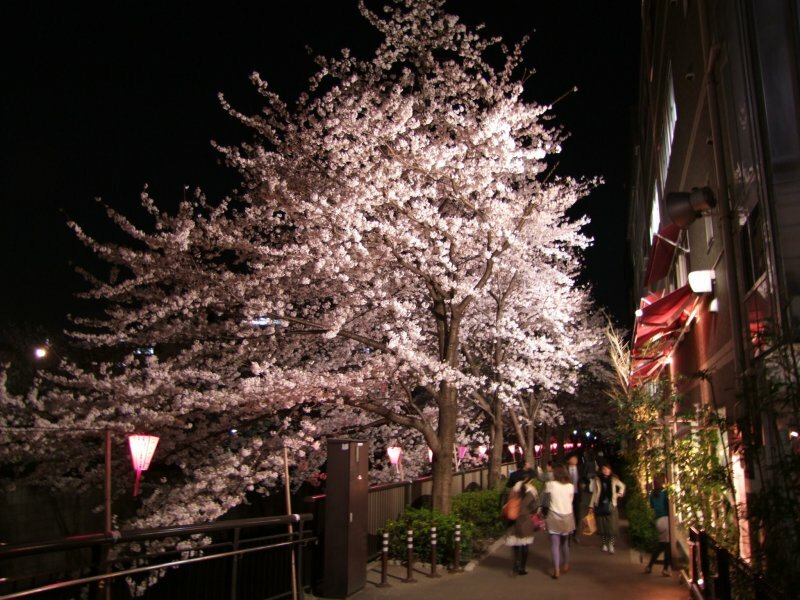 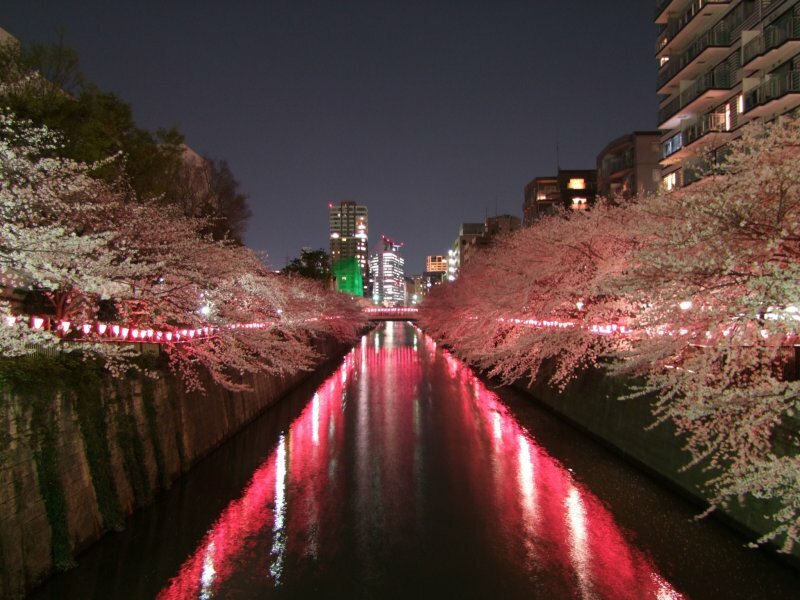 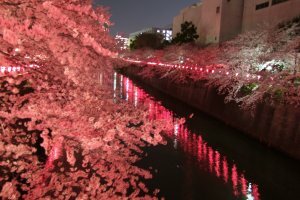 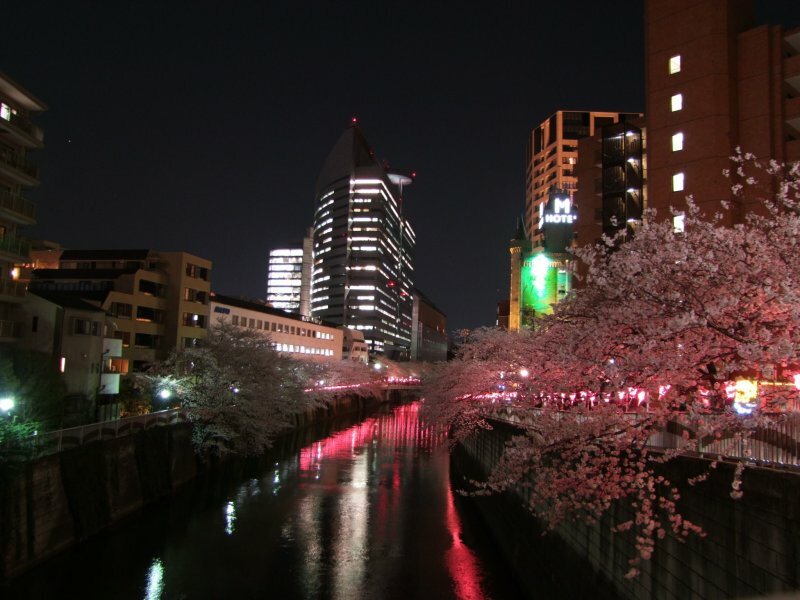 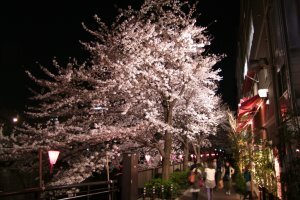 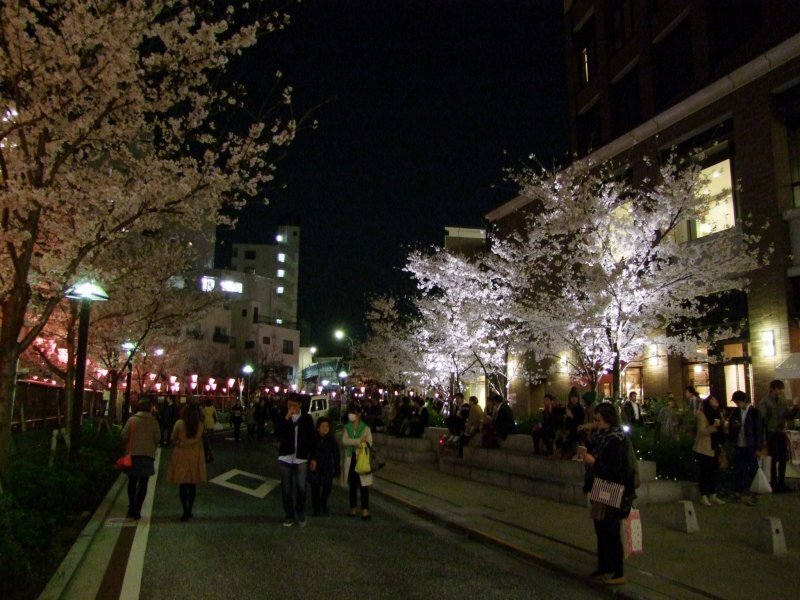 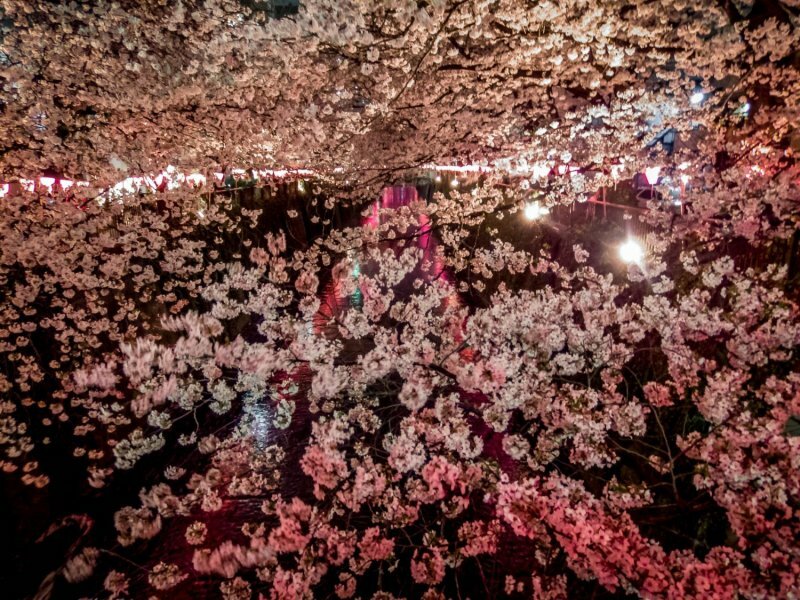 Boasting over 800 cherry trees lining a four kilometer stretch along Meguro River, Naka-Meguro has rightfully earned its place as one of Tokyo's top destinations for viewing cherry blossoms during the short but highly enjoyable hanami season. 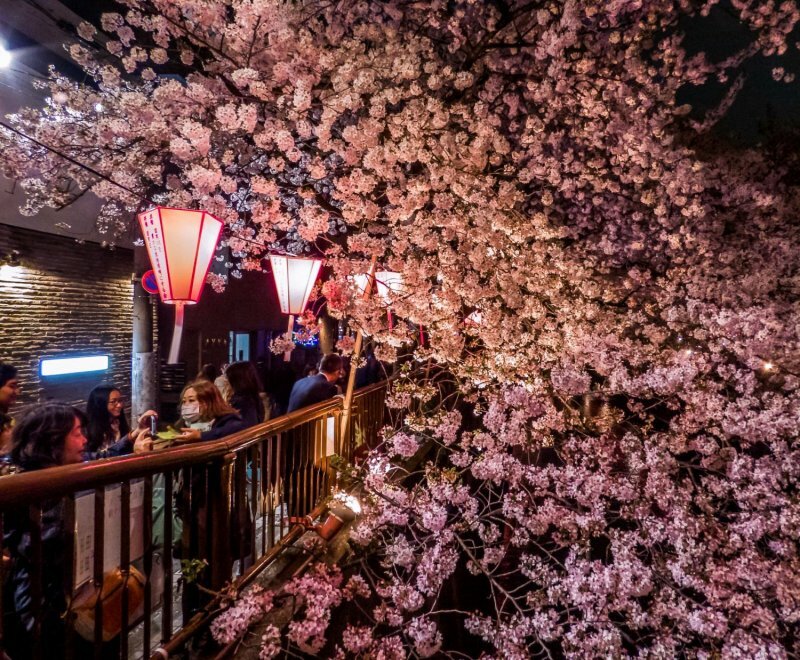 Whilst this area has been a long established favorite for many daytime visitors, its nighttime illumination—known as yozakura—provides an even more impressive spectacle as its narrow walkways, cafes, and boutiques are transformed into a beautiful array of contrasting colors. 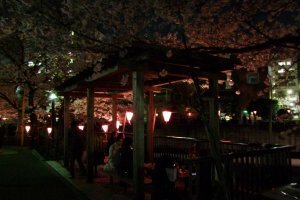 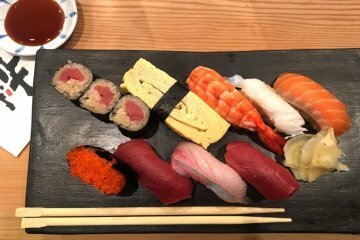 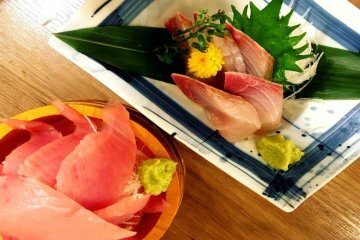 A favorite stretch of the river is between Naka-meguro and Gotanda stations, a walk that is lined with food vendors and restaurants serving the many people out for a beautiful night stroll. 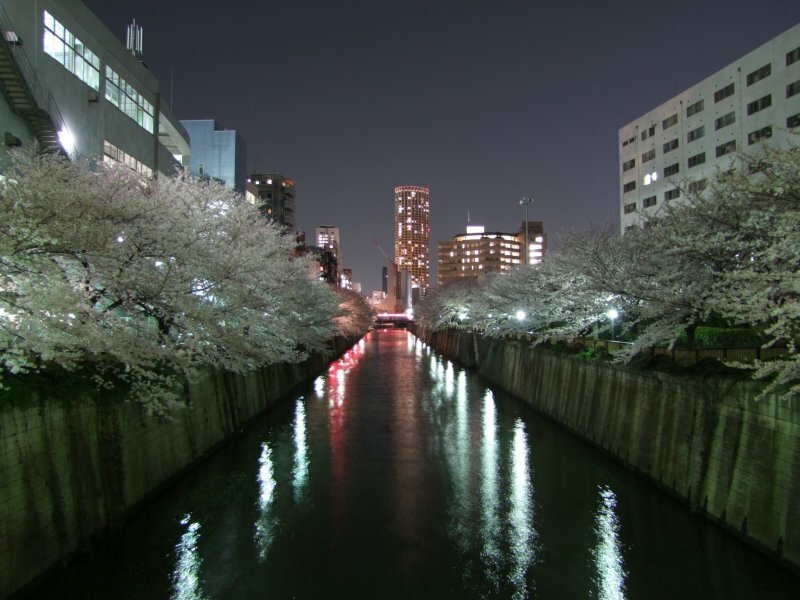 Grab your camera and come walk along the river - it's a great place to be in springtime. 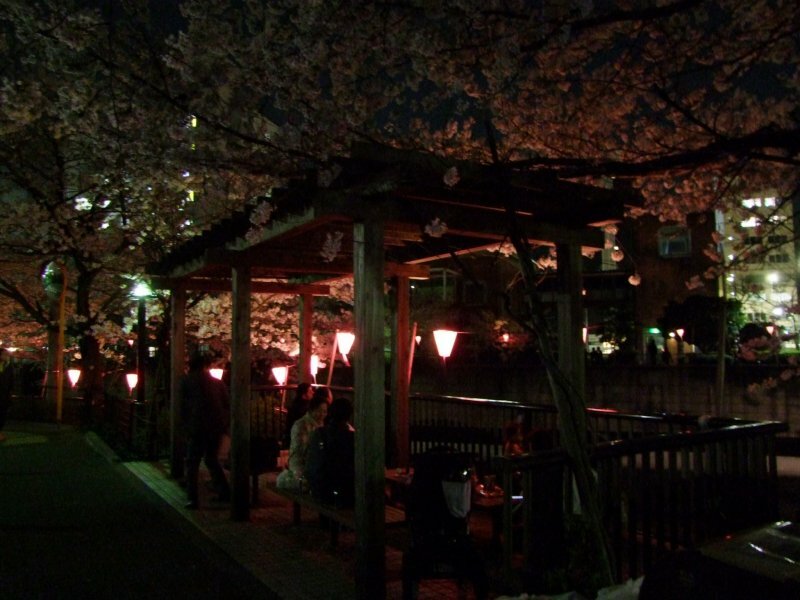 Runs from 6pm to 9pm. 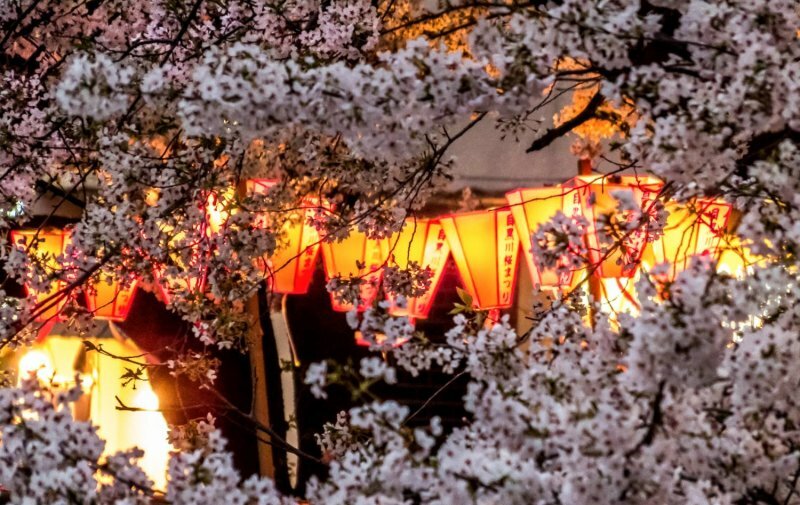 Additional photos/reporting by Steve Morton.